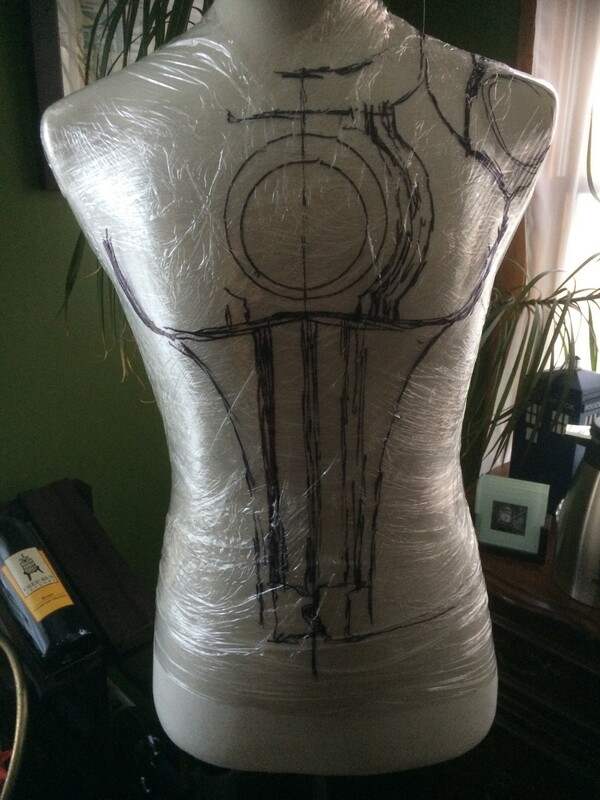 For about a year – since Chicago TARDIS 2015, I was planning to build a 1960’s cyberman costume for the con in 2016. As I spent more and more time on Newt Scamander it became unlikely I could devote enough time to build one to my satisfaction. 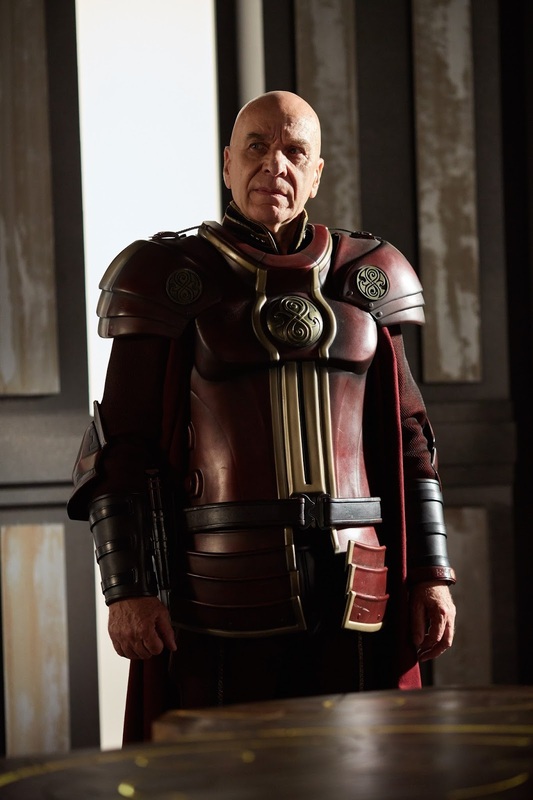 As I started looking at alternatives, I became attracted to the armor worn by the Time Lord military in the final episode of the last season of Doctor Who. Specifically the General’s. 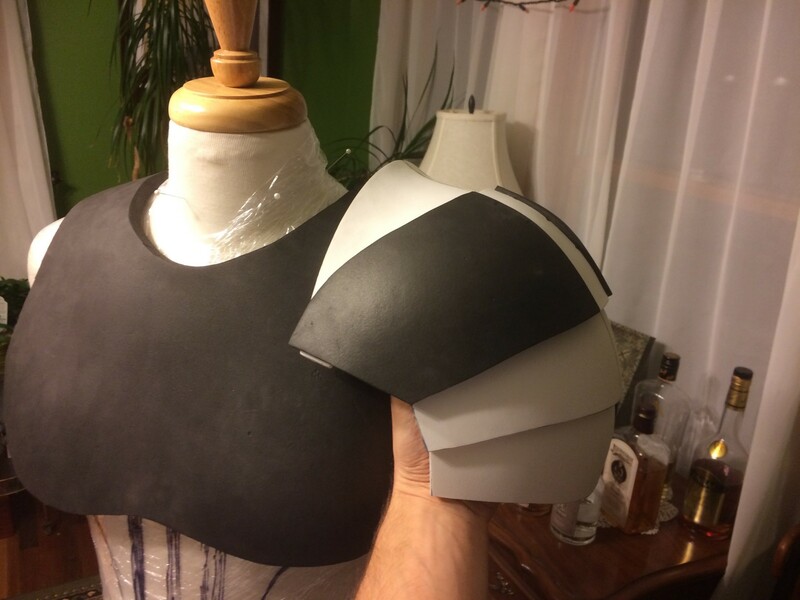 I had been wanting to do a big armor project with EVA foam for a while, and this seemed a perfect fit. 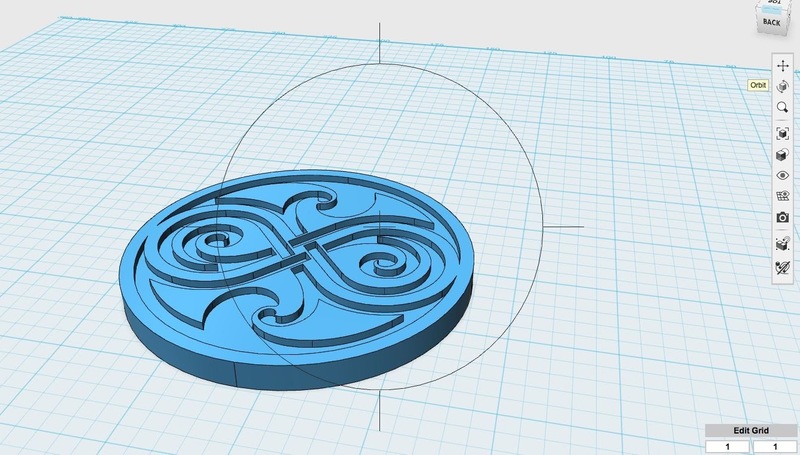 I also like the idea of 3D printing some of the detail pieces, since my local library has several printers and my father-in-law just bought one of his own. 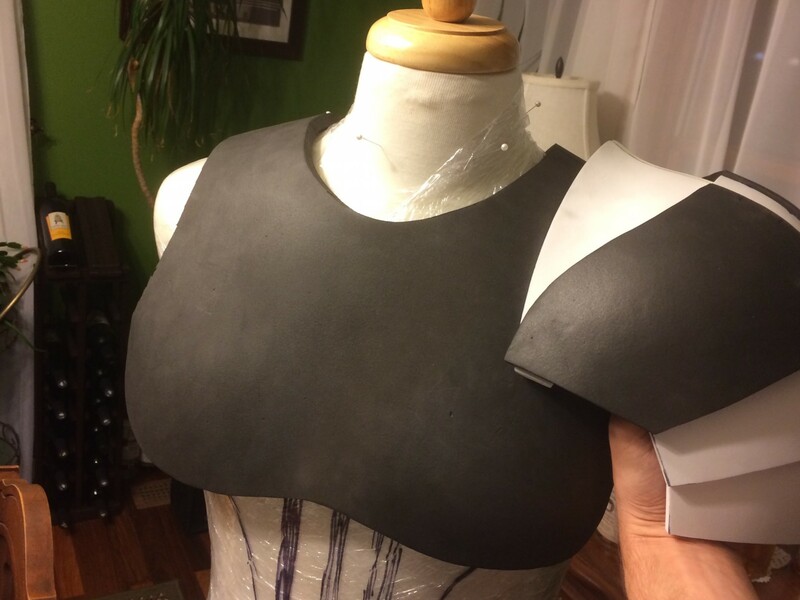 For the abdomen and leg armor, I had to make some sharp angles and curves. 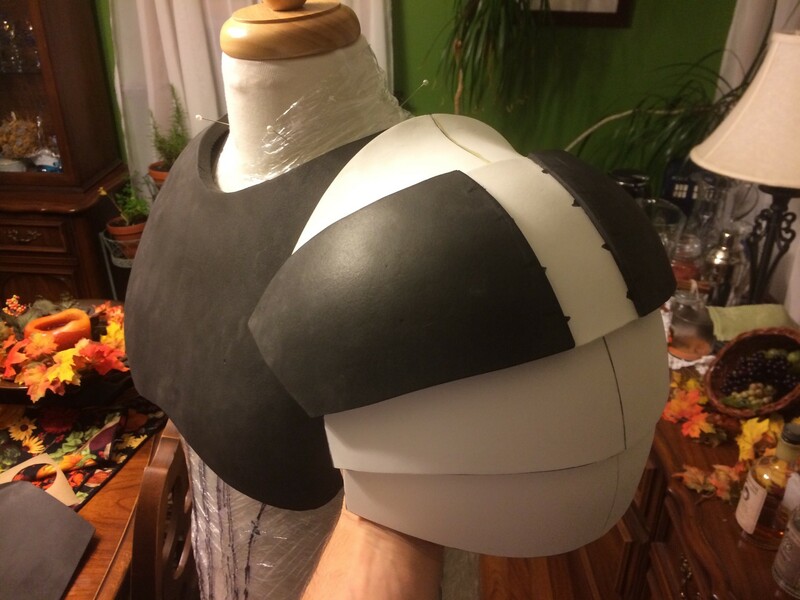 Instead of joining separate pieces, I cut grooves into the back of flat pieces and folded/glued them into shape, kind of like pepakura. 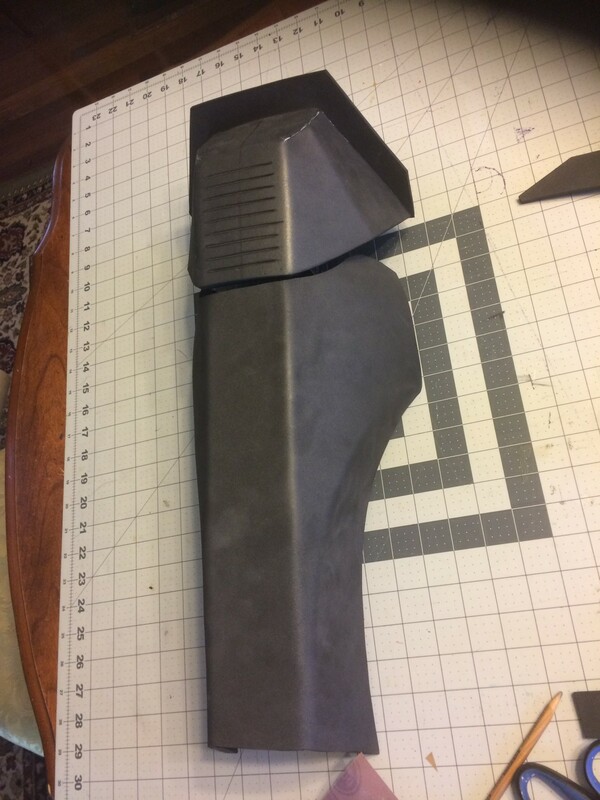 Once a piece was shaped, it got a coating of wood glue to seal the surface for paint. I still haven’t quite found the exact technique I like for this. My first few pieces were undiluted glue, and they had great rigidity, but lots of irregularities from drips and runs that I had to sand out. 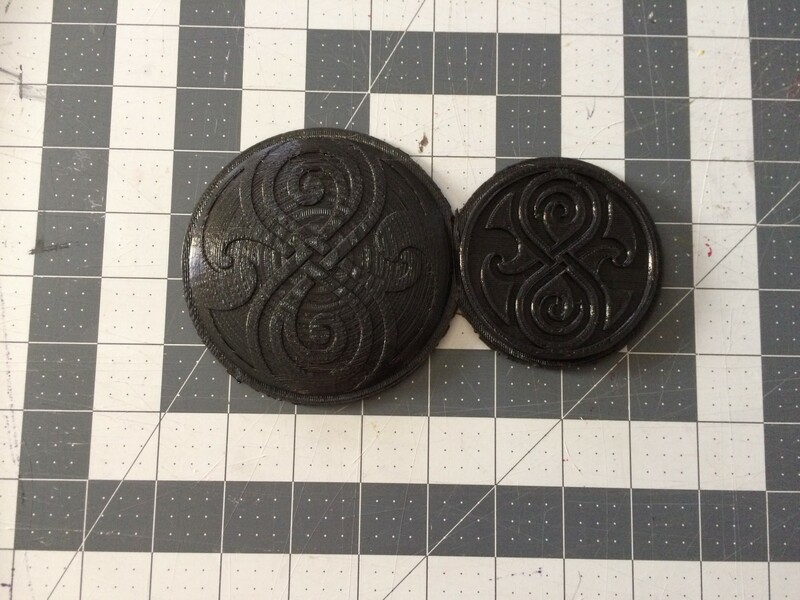 For later pieces I watered-down the glue but I think I need more coats using that technique since I never got quite the level of finish I liked. 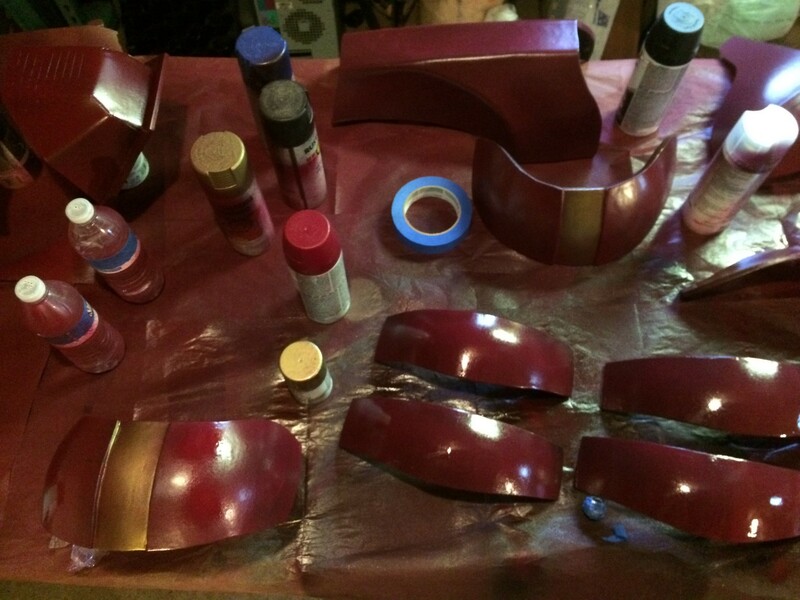 After sealing, everything got a coat of a dark metallic spray paint to even out the white and black foam, then a coat or two of burgundy, and a coat of clear. 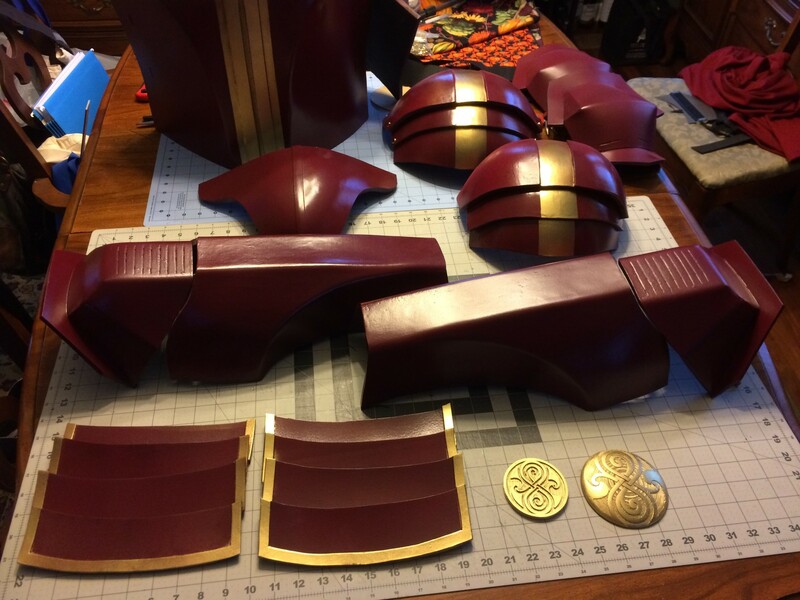 I let it all dry overnight before masking and adding the metallic gold details. 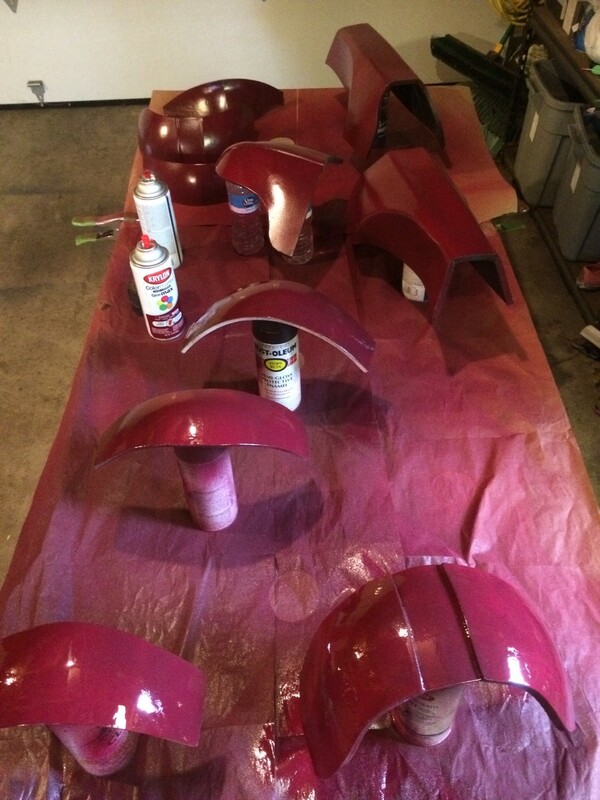 At some point I want to come back and add some shadows with an airbrush, then clear coat and polish it all to a high gloss. 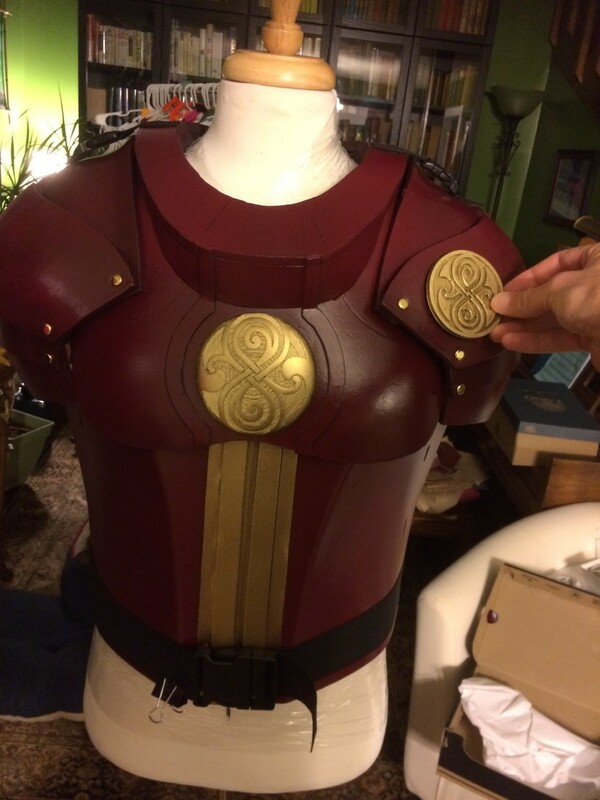 After paint, the shoulder armor was linked together using brass brads. 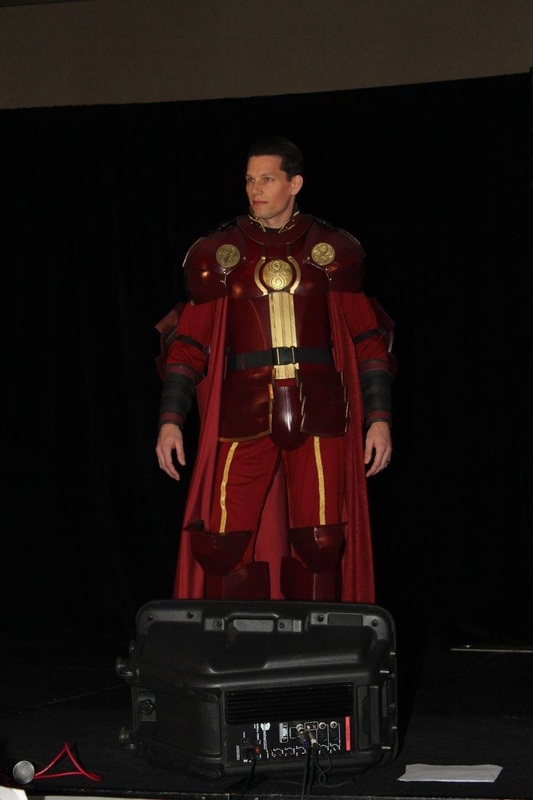 The rest of the armor was attached using black 3/4″ elastic, and for certain pieces, plastic buckles. 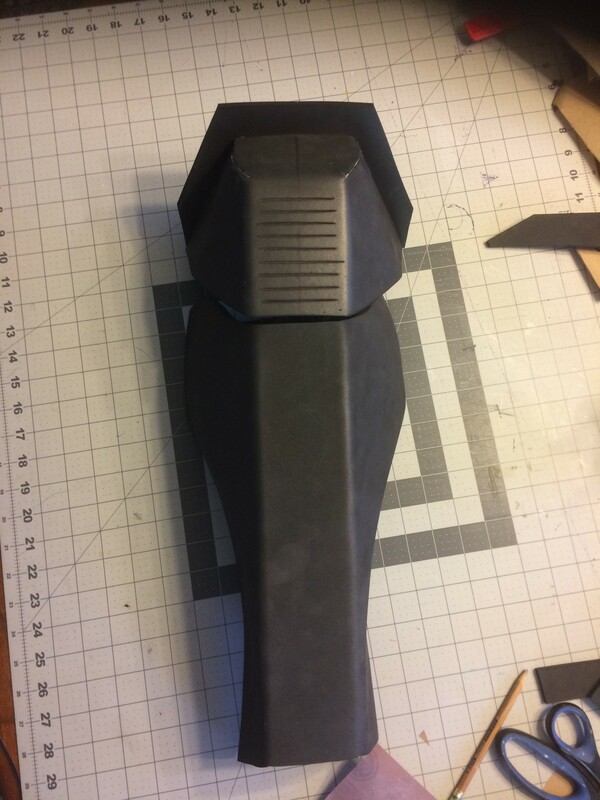 I was actually able to track down the strapping/buckle system I believe was used for the originals, but it appears to require a bulk purchase of like a thousand, and I didn’t have time to have them shipped even if I could get them to send me a couple. 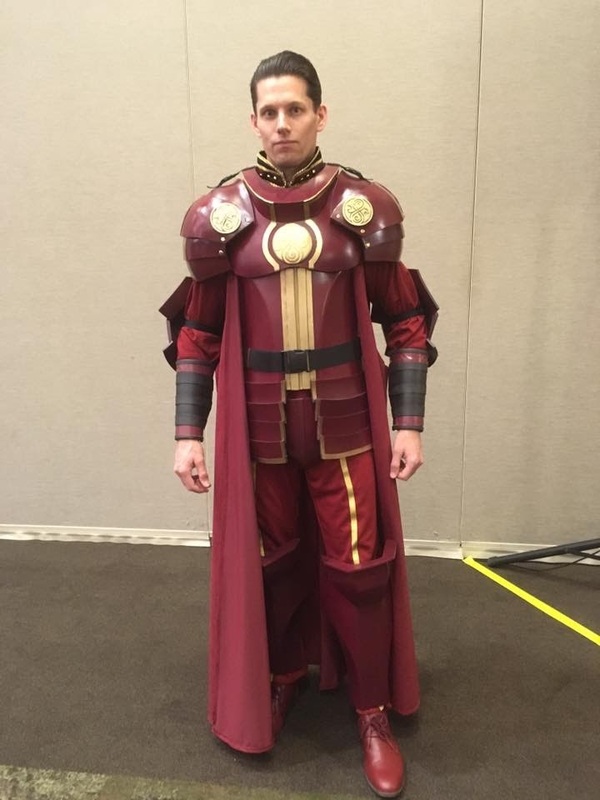 My fantastic, incredible, amazing wife saw how I was progressing on the armor, and volunteered to make the clothing pieces for me. 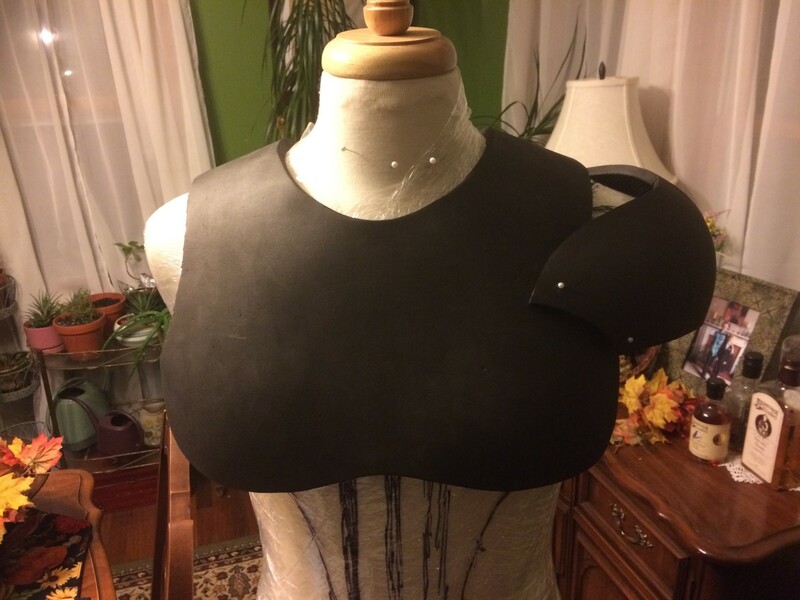 She had already created basic tunic and trouser patterns for previous costumes, so she had somewhat of a head start, but it still took some hard work to figure out the military collar and all that trim. We collaborated a bit on the cape, though I’m sure I was more just getting in her way. I need to get a better shot of the back, where she has it pleated just like the original. 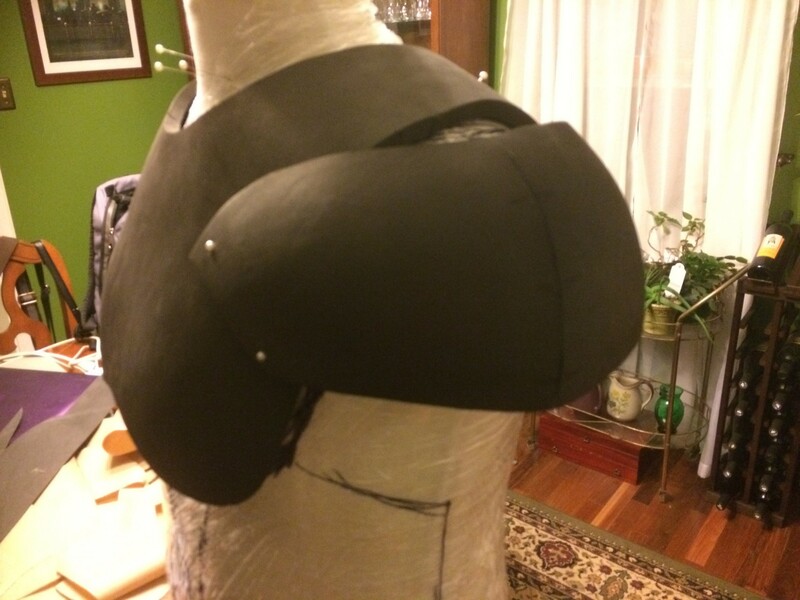 The cape goes on over the abdomen armor, but under the gorget / shoulder assembly. Like every costume before and (I’m sure) after, I didn’t put everything on all at once until the masquerade. 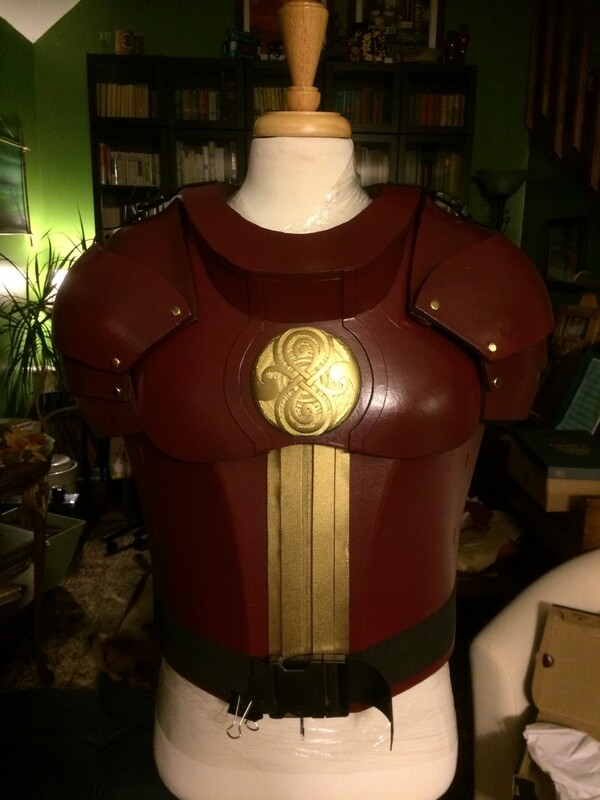 I only had to duct-tape one element – the vambraces – due to the velcro popping off (I had run out of proper straps). This is the first time I had to enter the “master” category since Lynette and I had won the journeyman workmanship prize, so I was extra nervous. This year I took home Best Workmanship – Master, and Best in Show – Workmanship. As always, it was a great competition and I was thoroughly impressed and humbled by everyone’s work and creativity. I’ve made some of my best con friends in the green room of this costume contest, and that’s really what motivates me to keep coming back. 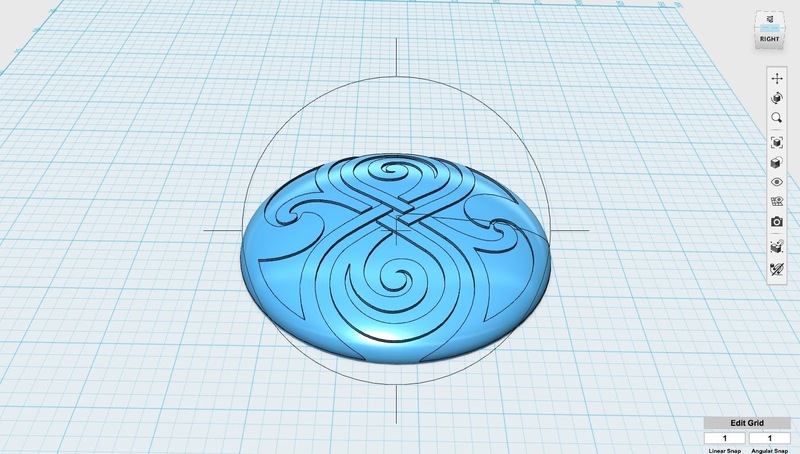 I was searching around for a model of the symbol of Rassilon you printed, would you happen to have the files to share? Sure! Here’s a dropbox link to my working folder with vector files as well as stl and 123dx model files. I am NOT a pro modeler, so they may not be optimized very well, and mileage may vary. Also, here’s a link to the reference images I compiled. Thanks! I’ll take a look. Much appreciated!